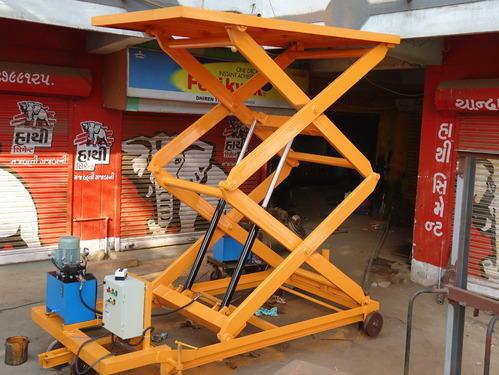 We are leading supplier & manufacturer of Scissor Lift Table. Our product range also comprises of Lifting Equipment, Hydraulic Lifting Equipments and Drum Loader. These are offered in different size and specifications. These are highly appreciated for their quality and durability. We offer our valued client a large gamut of Scissor Lift Table which can be adjusted in the available space of the shop floor. These tables are made from high-grade raw material to provide good performance to the end users. 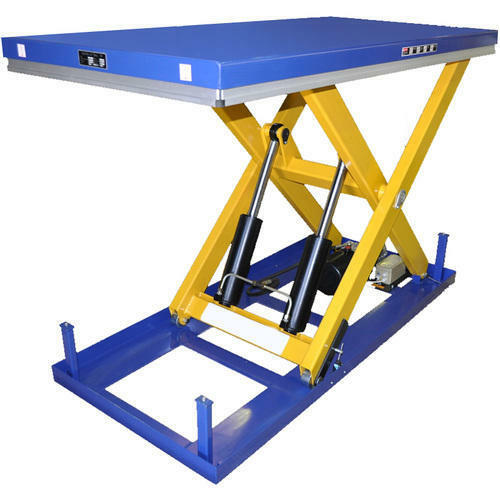 Owing to our expertise in this domain, we have been able to put forth the clients an excellent assortment of Scissor Lift Tables. Our range is ideally used to lift and position metals & loads in construction, automotive, telecommunication, electrical & power services and manufacturing & inventory management. Besides, the range is used in applications where access to the above ground is required such as wire & cable industries and paintings. 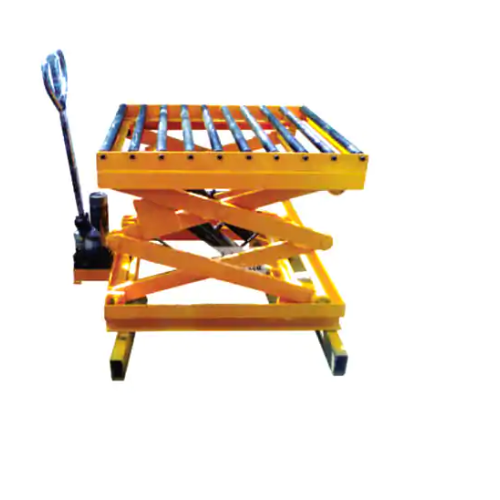 We are engaged in manufacturing, supplying and exporting superior quality Portable Scissor Lift Table. Designed with precision, these tables are known for their strong construction, corrosion resistance, durability and precise dimensions. Clients can avail these tables in different specifications as per their requirements. 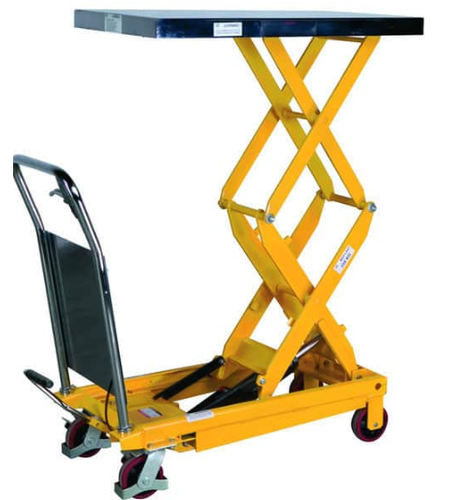 Backed by sound industry experience, we have been catering to the diverse requirements of the customers by providing them an excellent assortment of Movable Scissor Lift Tables. Ideally used for heavy duty applications, our products is so designed that it can effectively work under toughest working conditions. 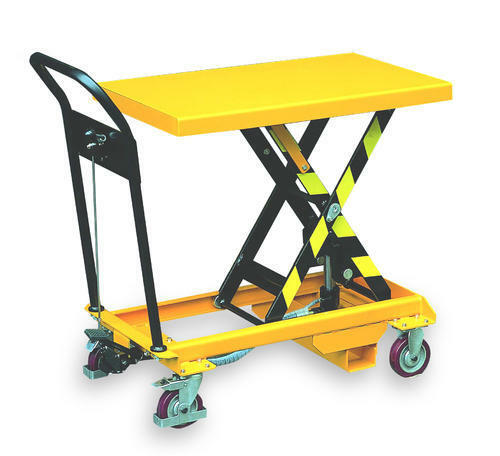 Our range comes with scissor leg rollers entrapped within the structure of the platform and base frame so as to ensure maximum unit stability in all corners. 1500x1000 600 1600 2000 500-5000 Kgs. 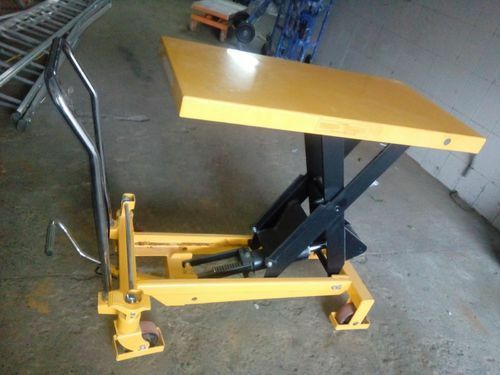 Our organization is highly appreciated by the clients for manufacturing, supplying and exporting a wide range of Die Loader Manual Lift Tables. These tables are manufactured using strong raw material, which ensures their durability. Moreover, these tables are tested on various parameters so as to ensure their adherence with set industry standards and norms. We are manufacturers, suppliers and exporters of comprehensive assortment of Industrial Die Loaders. This is manufactured using high quality raw material that is procured from the reliable vendors of the industry. These Die loaders are widely appreciated by our client for its high efficiency, Corrosion resistant finish, low power consumption and low maintenance. 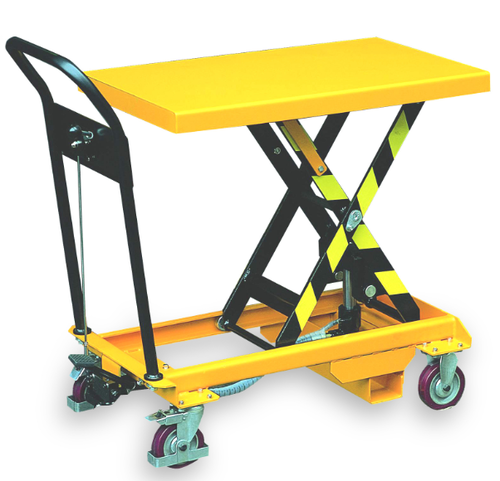 We hold immense expertise in catering to the variegated requirements of the customers by bringing forth a remarkable range of Movable Scissors Lifts Tables.These products are specifically designed to lift heavy duty applications and can work in toughest conditions. Manufactured in accordance with international quality standards, these products are developed using superior quality raw material and advent technology. 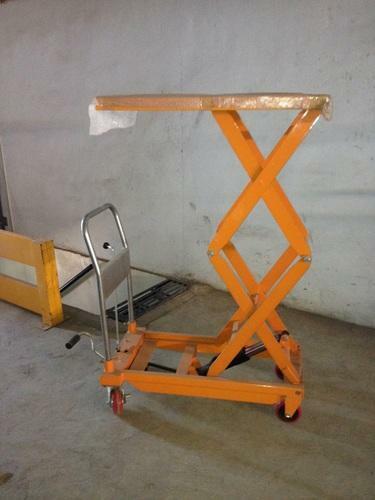 Looking for “Scissor Lift Table”?